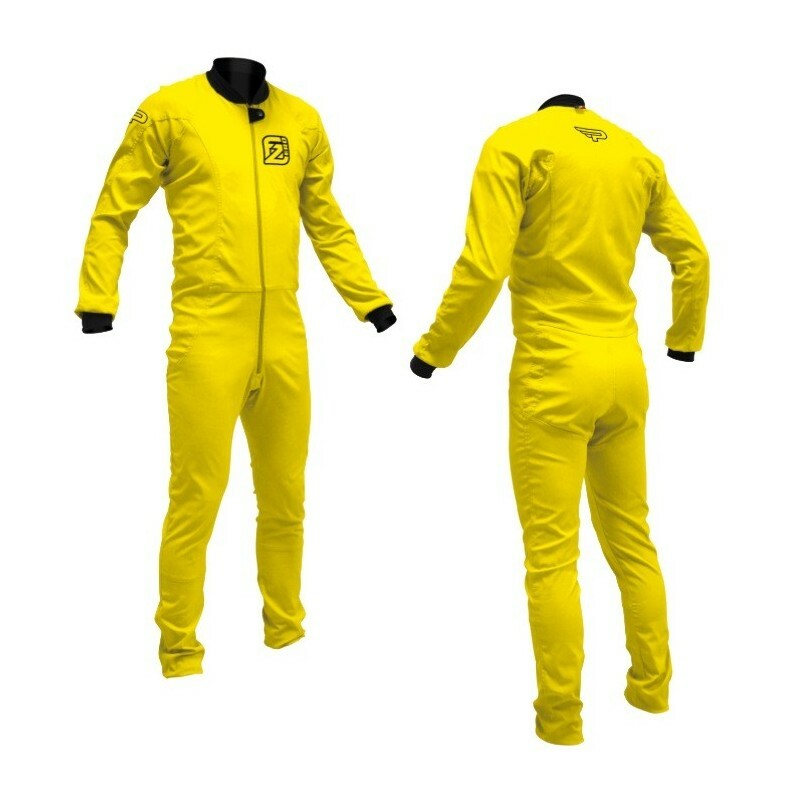 Use the configurator to color your jumpsuit and verify options pricing. Once configured, you will be able to save the order form with your choice of colors and options, insert it in your shopping cart, and proceed with the order. Completing the “F Series” suits, the F-Zero has been designed with wind tunnels in mind. Made of the same Aërian windproof fabric used on the F3 freefly suit, it provides optimal fit and comfort, with a slightly stretchy material. Cuffs and ankles are closed with comfortably tight Lycra, and collar is also made of stitches-free double layered Lycra. Simple but with a trendy design, the F-Zero is the perfect first personal tunnel suit.